Ciao gente!!! 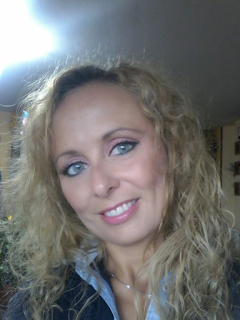 Oggi vi faccio vedere un make up bon ton ma reso un po' più "aggressivo" con una bella riga di eye liner (si fa per dire!!! )...vediamo cosa ho fatto. Ho realizzato la base correggendo le varie imperfezioni con il correttore Istant anti age di Maybelline, poi ho mischiato un po' di cipria minerale Hollywood con un po' di fondotinta minerale ed un pizzico di terra Kalahari di Neve Cosmetics, ed ho applicato il "composto" sul viso facendo movimenti circolari, e infine ho disegnato le sopracciglia con la matita Manga brows. Su tutta la palpebra mobile ho applicato la matita pastello avorio, sfumando leggermente i bordi, e sopra ho picchiettato un blush color pesca di Kiko. Nella piega ho sfumato un ombretto marroncino andando leggermente verso l'alto e sotto l'arcata sopracciliare ho applicato un ombretto color panna. Ho contornato l'occhio applicando una matita nera nella rima interna superiore ed inferiore, sporcando anche le ciglia inferiori; sulla palpebra inferiore ho applicato un ombretto nero con un pennellino angolato da eye liner facendo una codina verso l'alto, che sarà la base del mio eye liner. Sulla rima superiore ho fatto appunto una riga di eye liner, poi ho applicato tanto mascara. Sulle guance ho applicato lo stesso blush che ho usato sugli occhi e sulle labbra ho applicato la matita pastello Orchidea, che ho fissato con un rossetto rosa carne di Essence e al centro un pizzico di gloss rosa. Hello people!!! 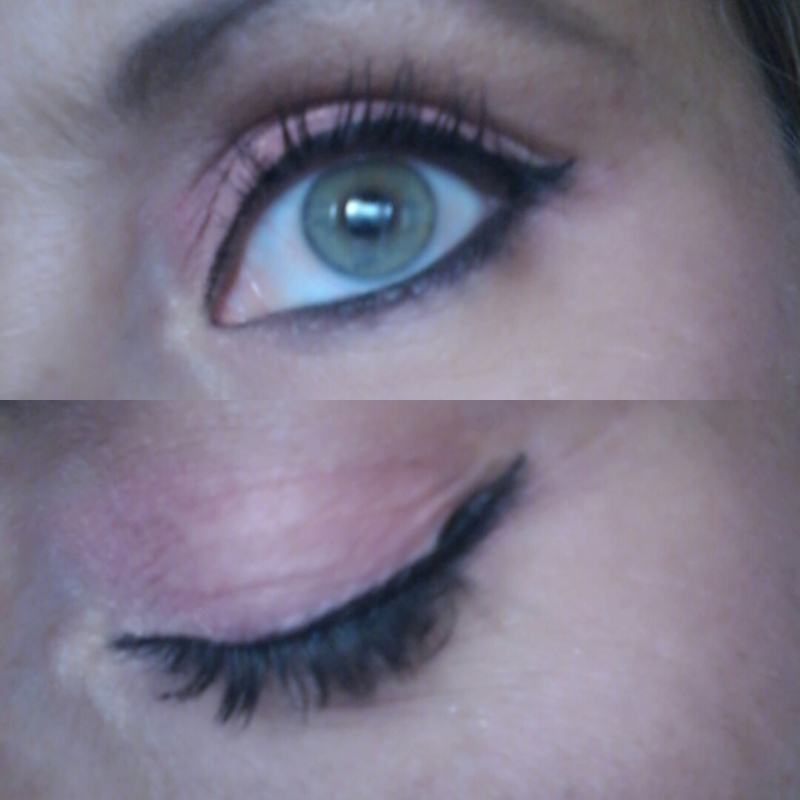 Today I'll show you a make up bon ton but made a bit more "aggressive" with a beautiful line of eye liner (so to speak !!!) ... let's see what I did.I made the base correcting the various imperfections with concealer Maybelline Instant anti age, then I mixed a little Hollywood of mineral powder with a little of mineral foundation and a pinch of bronzer Kalahari NeveCosmetics, and I applied the "compound "I am making circular motions on the face, and then I drew the eyebrows with pencil Manga brows.On the entire eyelid I applied pencil pastel ivory, blurring the edges slightly, and I tapped on a peach blush Kiko. In the crease I blended a brown eye shadow slightly going up and under the arch of the eyebrow, I applied a cream eye shadow.I surrounded the eye by applying a black pencil in the inner rim of the upper and lower, tainting even the lower lashes; on the lower eyelid I applied a black eye shadow with a brush angled eye liner by making a tail upwards, which will be the basis of my eye liner. On top rhyme I did just one line of eye liner, then I applied so much mascara.I applied the same cheeks blush I used on the eyes and lips I applied pencil pastel orchid, which I set with a pink lipstick meat Essence and in the middle a hint of pink gloss.I hope you like ... soon .... hello !!! !